I grew up in the 1950s and '60s, a few miles outside New York City. Both good and bad ad campaigns were pervasive. There were posters and billboards everywhere: on roadways, in train stations, at bus stops and on the sides of buildings. I've forgotten all the bad campaigns, but still vividly recall the good stuff. 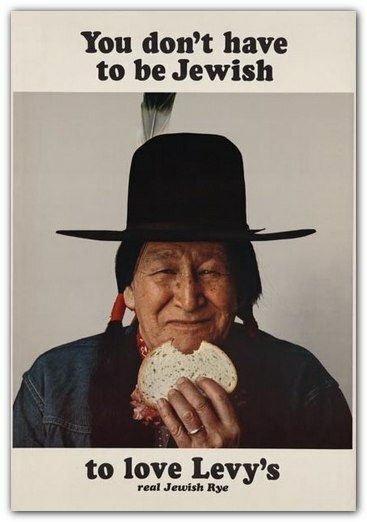 One of my favorites, a campaign for Levy's Jewish Rye, was cited last week by ad man George Lois in an interview by NPR. I was delighted to learn from the interview that Lois believes in the primacy of copy. Even though the synergy between words and images is crucial to a good ad, the copy must come first, Lois insists, "because a line, a slogan should be famous."